A couple of weeks ago we celebrated my grandson’s second birthday. He got to stay up way past his bedtime which is usually just before dark. 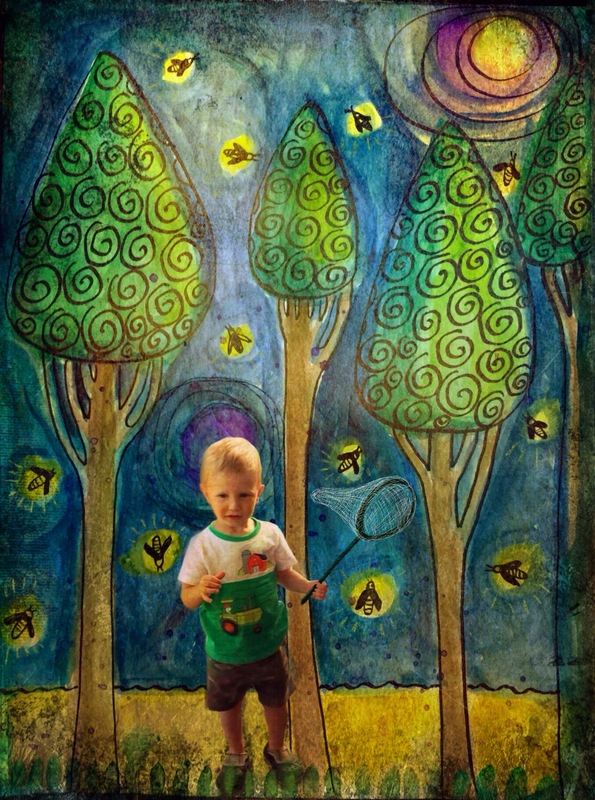 It was the first time that he had seen fireflies! He would squeal and run all around the yard and yell, “Light buggie!” I ran around with him and tried to catch them with no success. It was so fun to experience that with him. I created this digital collage to record that event. I was sitting on my patio doing some watercolors and decided to do a stylized version of our trees around the house. 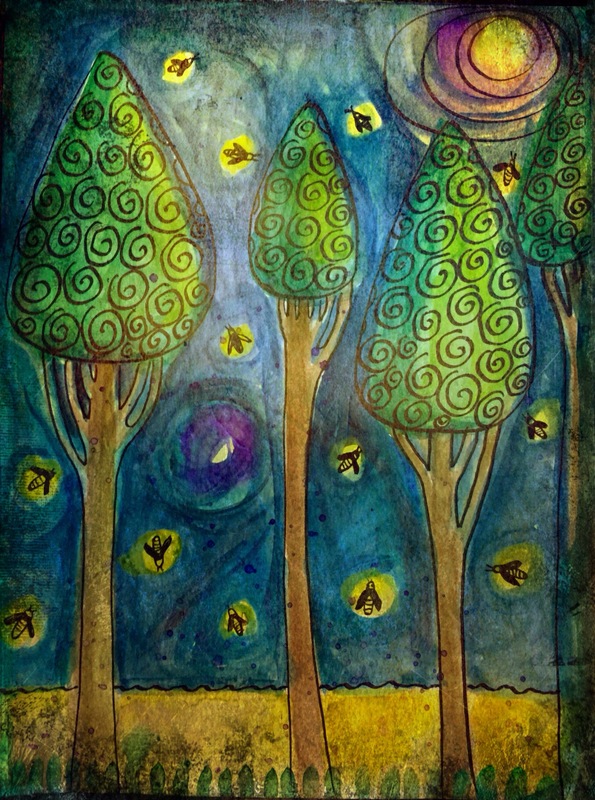 When I was doing the background, I decided to make it a night sky and add fireflies. That sparked the idea to add him with his net. I searched my photos and found one with a pose that would work. I layered it using my Procreate app on my iPad and drew a net in his hand. I’m going to print one for his room and maybe a journal page for him. I’m not really into the scrapbooking thing, but the idea of making a sort of art journal for my grandchildren is appealing. I am collecting things but haven’t really combined them yet. It will happen. I’ve got to record this amazing journey!